We chat to two chefs using two very different techniques for cooking meat. 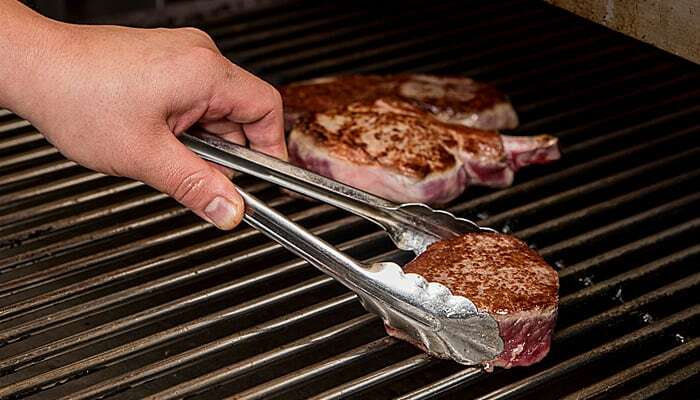 We all know finding the right equipment for cooking your steak is just as important as choosing the right cut in the first place, so investing properly in the right grill or oven rather than cutting corners will pay off hugely in both time and flavour. At Haverick, we want the meat we supply our chefs to taste the absolute best it can, and so are all aboard experimenting with different methods until you find the piece that works best for your kitchen and menu. Here are two examples of both friends and customers who are using two very different pieces of equipment to their potential. 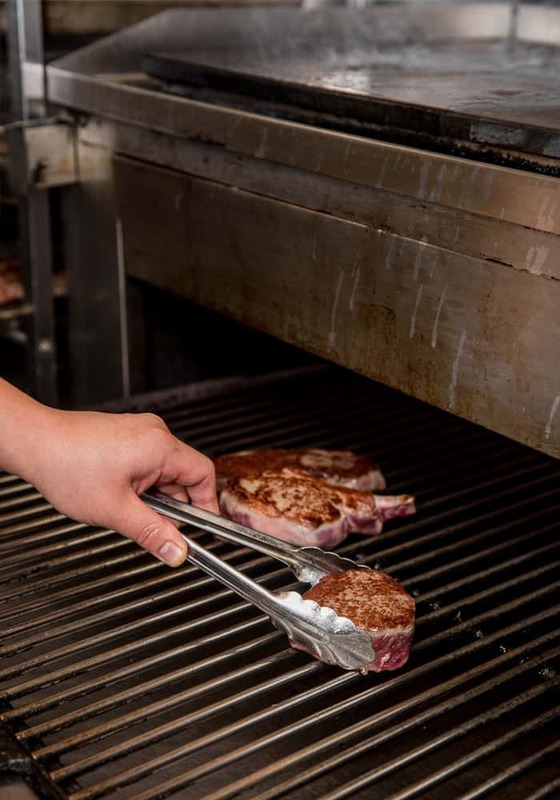 Chophouse was one of the first in Sydney to install one of Montague’s gas broiler grills – a very intense grill that radiates heat of up to 700 degrees Celcius through spiked ceramic tiles which you can position as close or as far from the meat as you like, for targeted results. We’ve worked with head chef Scott Kim for about 11 years now, following him to his position at Chophouse in 2010. For Scott, the Montague Grill is “the best piece of equipment I’ve used throughout my career – I can’t fault it”. We can’t either! Because the grilling doesn’t happen through direct contact with flame but rather an evenly dispersed, radiant heat generated by the spiked ceramic tiles, the true flavour of the meat, whether it’s dry-aged, pasture-fed, grain-fed or full-blood wagyu, is preserved, and isn’t masked by charcoal smoke or flame. “With the broiler it’s just your seasoning, the oil, and then the meat itself,” says Scott, “that’s all you taste”. 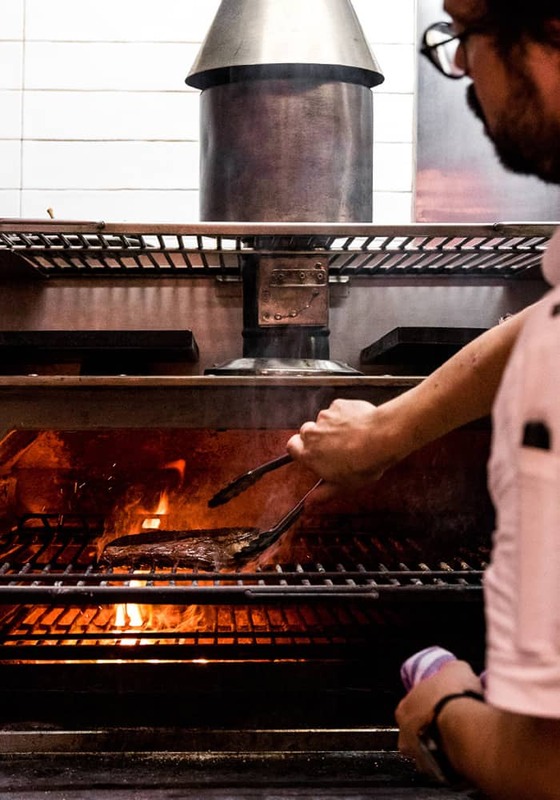 For restaurateur and owner of Sydney’s Balcón by Tapavino, Frank Dilernia, his kitchen’s Spanish Josper is an essential piece of equipment and combines a grill with an oven in one beautiful piece. “Without a doubt, cooking over charcoal gets the best out of most cuts of meat,” says Frank. The two-level Spanish-designed Josper is an enclosed charcoal oven, which means none of the heat or flavour escapes as it tends to do with an open grill, but remains at an even temperature for a long period of time. The two levels offer two ranges of heat; the lower being closer to the flame and so ideal for cooking things fast and intensely, the higher one for reheating, or finishing a dish. The top of the Josper is warm, too, perfect for resting dishes before they’re ready to be served – such as the huge number of roast chickens Balcon dishes up to 200 hungry diners each Friday lunch service. Flavour-wise, this depends on the sort of charcoal or wood chips you fire it up with, but Frank assures the flavour isn’t overpowering, but just adds a smoky note to the protein. The one downside, potentially, is its size. “Whether you need it depends on if you can fit it!” says Frank. You’ll need to upscale your exhaust too, to avoid a kitchen filled with smoke. If you can get past that, it’s a one-way ticket to the perfect steak.